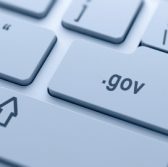 A Bloomberg Government report has found that 71 percent of federal government funds have been spent on information technology contracts since fiscal 2014 and most of those contracts support cybersecurity, cloud, artificial intelligence, data analytics and other IT modernization efforts. BGOV said Wednesday President Donald Trump’s management agenda that seeks to advance IT modernization initiatives is expected to help drive federal IT spending in fiscal 2019. “In the next fiscal year, federal agencies are planning to spend about $15 billion on cybersecurity, $14 billion on IT modernization and $8 billion on cloud services,” said Donald Thomas, vice president and general manager of government contracting at BGOV. The Federal IT Budget & Contract Opportunities report showed that agencies spent approximately $2.1 billion on business intelligence and data analytics platforms and over $450 million on AI-related programs in fiscal 2017. The study found that agencies have obligated 29 percent of their federal budget to internal operations and the top 10 cybersecurity firms have secured a third of cyber-related contract spending since fiscal 2014. BGOV also predicts federal spending on cloud platforms to exceed $8 billion in fiscal 2018.